TROY NY-- Representatives from the New York Vermont Pennsylvania Rhode Island Texas Massachusetts New Hampshire New Jersey and Ohio Army National Guard New York Air National Guard Army Reserve and the 10th Mountain Division gather for a Northeast Regional Partnership meeting here February 7 2018. The partnership focuses and shared training opportunities to enhance a units readiness. 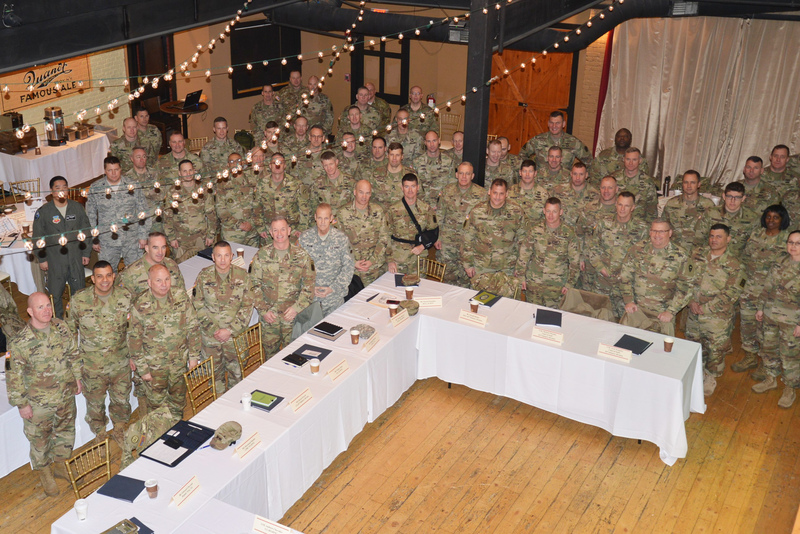 The event was hosted by 42nd Infantry Division.